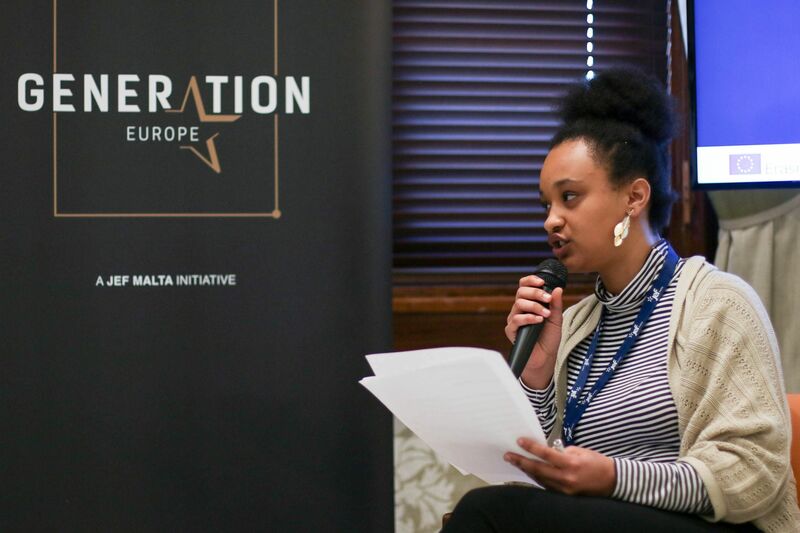 On the 24th of February youths and high-profile decision-makers gathered in one room to discuss the issues surrounding gender inequality, as part of JEF Malta’s annual campaign: Generation Europe. 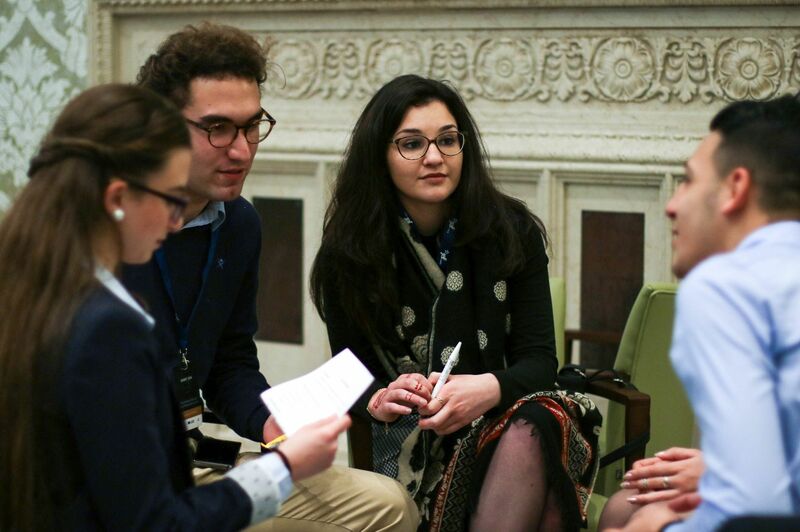 In the wake of initiatives such as the #MeToo movement and the Women’s March, ‘The Women of Europe: How Progressive Are We?’ aimed to tackle obstacles women may face as a result of gender discrimination. The first part of the seminar consisted of a debate featuring Hon. Kristy Debono, Hon. Roberta Metsola, Hon. Marlene Mizzi, Ms. Asma Dekna, and Ms Renee Laiviera; and moderated by Ms. Naomi Bugre. When asked about the ways in which their professional career has been impacted by gender-based discrimination, Hon. Debono spoke out against the challenges involved in proving herself as a worthy counterpart to her male colleagues, while also insisting that significant progress is being made. She admitted that, being a politician, many of her constituents are in fact curious to learn how she manages to juggle between her political career and raising a family. The Commissioner of the National Commission for the Promotion of Equality (NCPE), Ms. Laiviera discussed the discrimination she was subject to when she struggled to find a job because she was married. She also gave a significant weighting to the unfair political measures that were in place at the time, especially with regards to very high taxation rates for women. On the other hand, despite being brought up in a male-dominated society, Hon. Mizzi insisted that she has never felt inferior to men, and she has occupied many high-ranking positions throughout her career. Having said that, however, she did also express that it is much easier for men to balance between a professional career and a family due to societal constraints. Ms. Dekna, a Libyan migrant living and working in Malta, brought up an interesting point when mentioning positive gender discrimination that she has experienced. In the field of international development and justice, female professionals are not very common, and she therefore feels more appreciated for her work at times. However, in many other sectors, female migrants do have a hard time finding employment, which then leads to a vicious cycle of dependence on their male equivalents. Finally, Hon. Metsola shared her appreciation for all the women who fought for equal rights and the granting of universal suffrage back in 1947. She also spoke about the need for more female participation, especially within politics. Since 1947, there have only been 80 women candidates in Maltese parliament, compared to over a 1000 men. Gender quotas in politics were the next topic of discussion. The three politicians present were all against gender quotas, on the basis of the possibility of the unfair promotion of women. Hon. Mizzi asserted that “we deserve better”, because women should be, and are, capable of achieving without gender quotas. Hon. Debono also pointed towards the potential election of women who would not be up for the job – “I would not push, I would facilitate the structure”. Hon. Metsola furthered on this point, opining that the ideal solution would be to insist that parties have more women on their lists. Ms. Dekna also agreed that gender quotas are not the way forward in Malta and the EU, and we should instead focus on pushing for more female role models to inspire change within society. Ms. Laiviera presented a contrasting opinion, and said that since female participation is so weak, gender quotas should in fact serve as a sort of foundation upon which further participation would then occur. However, she did agree with the rest of the panel in stating that in an ideal world, quotas should not be imposed because the structure should facilitate the inclusion of women in the political sphere. The audience was also encouraged to participate in the debate, and participants enquired on the issue of non-binary genders and the notion of gender as a largely social construct. Hon. Metsola called for the consideration of candidates as individuals, irrelevant of their gender, as a way of ensuring the inclusion of all. Another question focused on the impact on children with two working parents. Hon. Debono emphasised the importance of a good family structure, and Hon. Mizzi insisted that being brought up in such an environment creates more independent children who are better able to cater for themselves. Finally, the enforcement of the male breadwinner model due to existing policies was discussed. Ms. Laiviera called for more family-friendly practices to be enforced in the workplace, which would help challenge that antiquated mentality. She also highlighted the need for more discussion on the gender pension gap, which comes about as a result of the gender pay gap. Make sure to RSVP for your place at JEF Malta’s next seminar: ‘Public Health – Diagnosing the Issues’ on the 24th March for your chance to engage in a fruitful discussion with leading decision-makers on the problems concerning our health-care system.